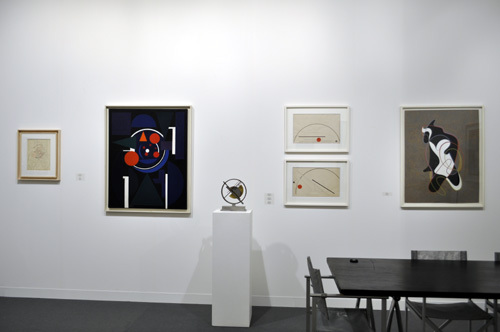 We are pleased to announce our presence at the Basel Art Fair for the forty-fifth consecutive year. Olle Baertling, Marcelle Cahn, Jo Delahaut, Robert Jacobsen, Félix del Marle, Jean Dewasne, Günter Fruhtrunk, Emile Gilioli, Jean Gorin, Auguste Herbin, Jean Leppien, Alberto Magnelli, Aurélie Nemours, Edgard Pillet, and Victor Vasarely. 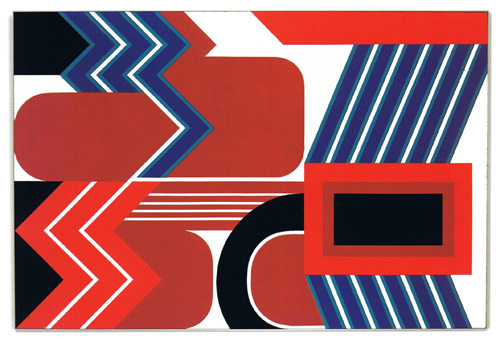 After Le Cateau-Cambrésis, the show of work by Jean Dewasne (1921–1999) will open at the Musée de Cambrai on June 28, revealing the importance of Dewasne’s graphic oeuvre, in large part published by Galerie Lahumière. 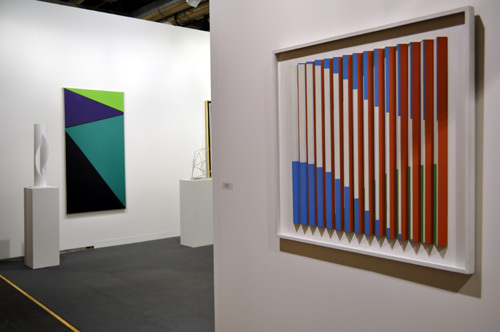 Indeed, during the first Basel Fair in 1969, we showed a set of silkscreens by Dewasne, and Jean-Claude Lahumière designed our stand in the form of waves in order to display the entire series, tilted La Longue Marche (The Long March). Szeemann helped us to sell most of that edition. 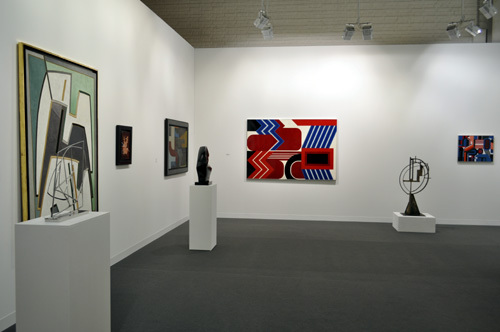 Art Cologne was a great success, and the Paris Art Fair fulfilled its promise despite the never-ending crisis here. The gallery walls are currently offering an Overview of the work of Moon-Pil Shim, until July 5. Moon-Pil Shim is a Korean artist who has lived and worked in France for over twenty years. His oeuvre explores light and line, and his collaboration with architects in “percent for art” projects means that he also addresses questions of volume. We look forward to greeting you on stand.